What’s the big idea, eh? Upping sticks from Blogger, moving over here to WordPress and changing the name? Yes, the time has come to leave behind the insufferably wacky quirks of Blogger for something that actually behaves itself. The Beer Diary will have a broader focus than the sporadic moaning of my previous blog. I’m going to delve more into the things that get me excited: beer history, beer and food, where to drink and what to drink. I’ll also post my own verdict on 2012’s Golden Pints in a couple of days. It has been a rather good for beer, after all. So stick around, and you might read something you like. Have to say that the name “The Beer Diary” immediately drew me in. As a beer lover myself I look forward to reading more of your posts. Nicely done, Chris. It helps to have an aim, regardless of how nebulous is may be. Also, while ranting makes for interesting writing/reading, it’s difficult to sustain. 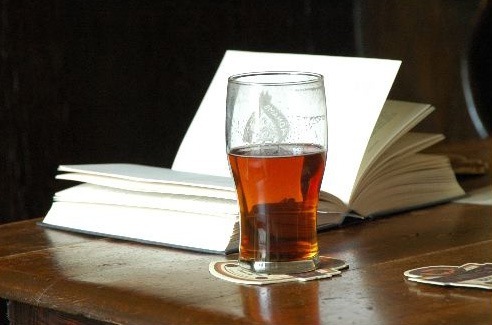 It’s time to run the London beer writing racket!